Louis Haddad got married in 1984. Shortly after, he met Dan Hoffler and went to work for Armada Hoffler. He likens both to winning the lottery. Haddad quickly distinguished himself as a problem solver, motivator and consummate leader who completed projects on time and within budget, all the while demanding high standards of excellence. 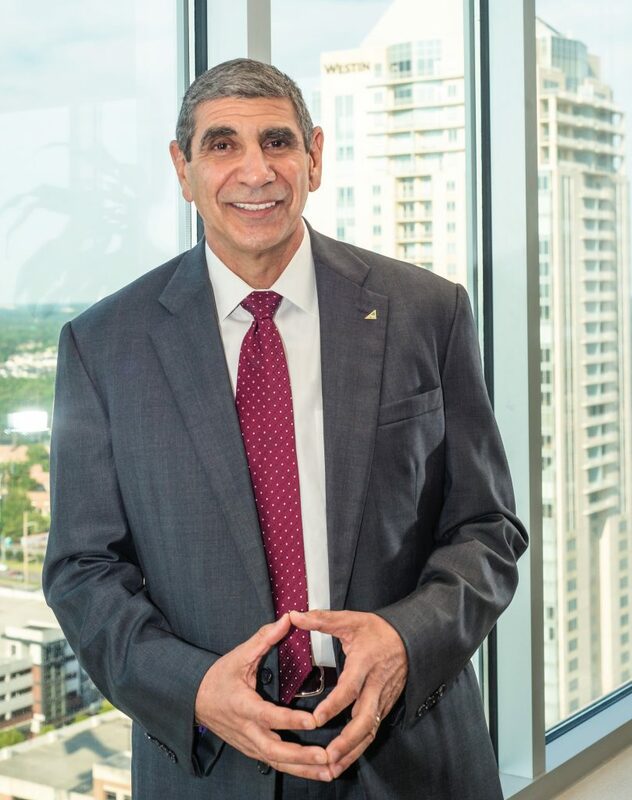 In just two years he was promoted to president of Armada Hoffler Construction Company, guiding the division through a decade of robust growth, escalating the firm’s revenues from $5 million per annum to $150 million. Under his guidance the company’s construction arm became one of the largest Virginia-based commercial contractors that consistently ranks among the top 400 general contractors in the country. In 1996, Haddad was promoted to president of Armada Hoffler Holding Company, the parent for all of Armada Hoffler’s entities. In 1999, he was given the additional title of chief executive officer. Tell us about Armada Hoffler. We were founded in 1979. For the first 34 years of that existence we were a privately held, vertically integrated, commercial real estate development company, doing business over multiple mid-Atlantic states with a variety of product types. In 2013, we did our IPO and became listed on the New York Stock Exchange. That’s been another great chapter in our existence. We’ve been able to outperform the real estate sector index since we became public, and we’re looking forward to continuing that trend. I think people would say I’m evenhanded and steady. We’re not reactionary. We’re very deliberate in what we do. You have to be. We’re dealing very large sums of money. So, my style is to remain calm and remain positive and steady. Do you think that’s what has made you successful over the years? For me, absolutely. We do a tremendous amount of public/private partnerships with cities, states, universities and the like. Therefore, you really have to have a lot of patience. A long-term view. And absolute transparency and integrity because you are dealing with, in many cases, public money. Do you subscribe to the idea that leaders are born or developed? I think the best way to put it is, certainly there are advantages to having certain personality traits that you’re born with. But the vast majority of leaders, in my opinion, are developed skills. And I would offer as evidence of that, there’s a tremendous amount of different leadership styles. So, you can learn those skills and adopt the style that fits your personality. You can take someone who is basically introverted and you would think, “Wow, that person isn’t going to make much of a leader.” But if that person can lead by example, not necessarily through oratory skill, then that’s a fine leader in their own right. We have 150 or so people working for the company, and we’ve got leaders at every level. And they have a multitude of styles. Some of them were inbred, and some of them were learned along the way. Any advice for future business leaders? To me the most important ingredient they have to have is passion. Because business is too hard. It’s too hard to be successful if you don’t have that passion. You’ll run out of gas. For people coming up I’d say find your passion. Then it can start to flow from there. What can middle managers do to advance? That’s an easy one. I’ve been preaching it for 30 years. You have to be a student of the game. I recommend to our people constantly to learn the business. If you restrict yourself to the microcosm of your specific responsibilities, then that’s exactly what’s going to happen. You’re going to be restricted there. So, you have to take the additional time and effort to be a student of the business. Read everything you can get your hands on, ask questions of people who are outside your department. You’ve got to develop that knowledge base in order to be ready for the next step. Any additional advice from a leadership perspective? I’ve always subscribed to the principles of servant leadership, both at work and at our charitable endeavors. There’s a really good series on leadership style that describes leading from within, not only from the standpoint of business, but the way you carry yourself, the way you pitch in, the way you give back. In my estimation, those are the things that make you a more complete leader. The series is by Robert Greenleaf, and I recommend that every manager read it. 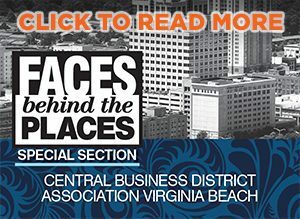 Excellence in Leadership is a new, year-long series that will include management advice from some of Coastal Virginia’s most well-respected leaders. Our next issue (October/November) will feature Monique Adams, executive director of 757 Angels. Posted by CoVaBizMag in Biz Report, What's On Your Desk?